The text below consists of some personal reflections on the design process behind the new graphic identity of the Whitney Museum, illustrated with a small selection of preliminary sketches. To see the finished graphic identity, and read the actual press release (the ‘rationale’, so to speak), please visit the website of the Whitney. In the future, we hope to show more images of the sketches, templates and models we produced; but for now, we hope that the essay below (the 'irrationale', for lack of a better word) will at least give some understanding of our thinking behind it. 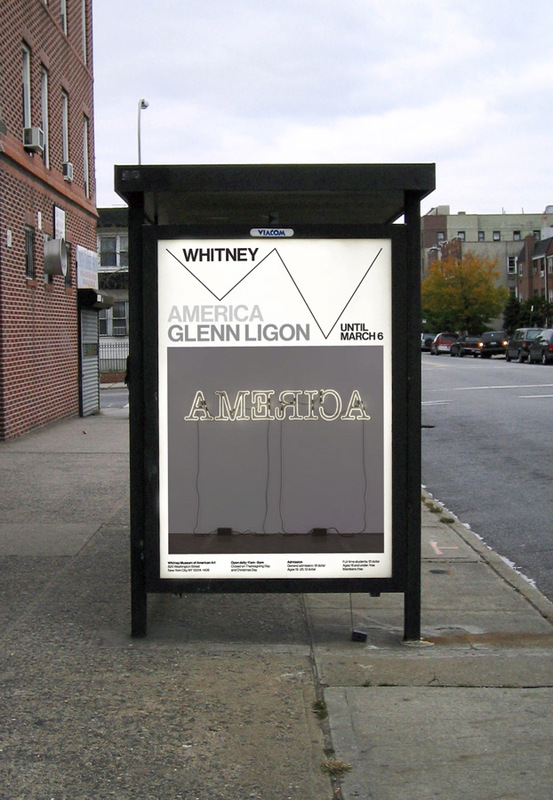 In 2011, we were approached by the Whitney Museum of American Art to design their new graphic identity. In short, we were asked to create a new graphic language, a sort of graphic ‘toolbox’, for the Whitney’s in-house design team to work with. The reason for this redesign was the fact that, in 2015, the Whitney will move from its current location (the ‘Breuer building’ at Madison Avenue) to a new location (a museum designed by Renzo Piano, situated at the beginning of the High Line). 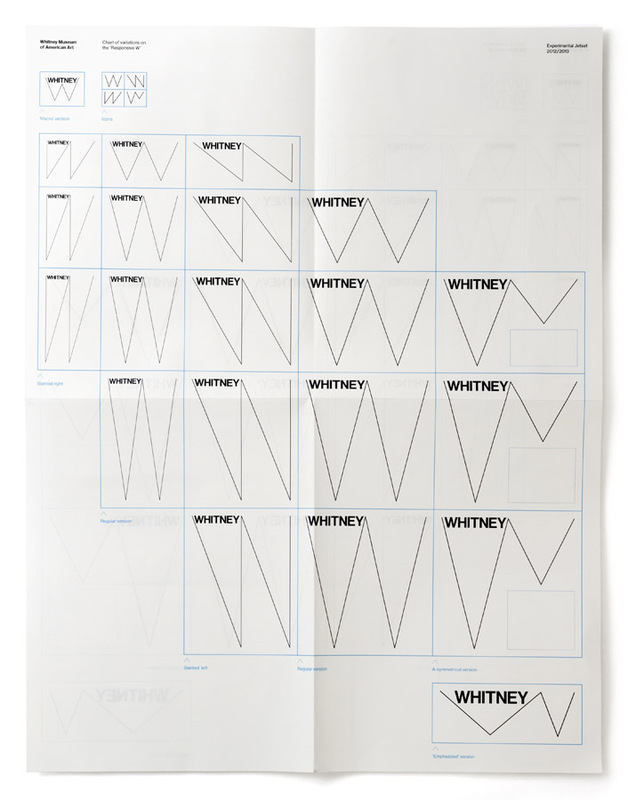 In preparation for this upcoming relocation, the Whitney decided to redesign their graphic identity (and to launch this new identity well in advance, in 2013). Throughout 2012 (from the summer of 2011 to the spring of 2013, really), we have been working non-stop on this new graphic identity, in close collaboration with the staff of the Whitney. As we already wrote – our task was to come up with a graphic identity, for others to work with. In other words, none of the actual graphic output of the Whitney will be directly designed by us; instead, all items will be produced by the excellent designers of the Whitney’s in-house design team. The text below is a shortened version of the introduction we wrote to the Whitney Graphic Manual, a 220-page document (printed through Lulu) which contains a large selection of all the work we did for the Whitney. At a later point in the future, we would love to make this document publicly available (either through Lulu, or as a digital file through our website). As with a line, every story needs a beginning. However, with a project that is as extensive as the development of the new graphic identity of the Whitney, there are many beginnings. So the question is simply – how to begin this story? “It would be much easier to present the history of art as a simplistic line – but that’s not the Whitney”. This sentence immediately conjured up an image, a shape. It also begged the question: if the history of art should not be seen as a simplistic, straight line – then how should it be seen instead? And secondly, if presenting a straight line is not what the Whitney is about – then what is? That’s when we came up with the idea of the zig-zag line – the zig-zag being a metaphor for a non-simplistic, more complicated (and thus more interesting) history of art. And as it happens, the zig-zag also resembles a capital W.
Seen within the context of the upcoming relocation, the zig-zag could also refer to the industrial nature of the new architecture, the ziggurat-like shapes of both the current and the future Whitney building, the archetypical roofs of factories, and the iconic exterior fire escape stairs of New York. Stretching it even further, the sign could also resemble one of these hidden hobo symbols, graffitied near the train tracks (in this case, the High Line); or the ‘dérive’-like journey of the Whitney through Manhattan, moving from one location to the other. It could also symbolize the signature of the artist; or the waves of the nearby Hudson (or maybe even the waves produced by sound and vision). In short, we believe the zig-zag to be an ‘open’ sign, a sign that can be loaded with all kinds of meanings relevant to the Whitney. So on the one hand, the main concept behind the graphic identity revolves around the notion of the zig-zag – which is a shape that can easily be transformed into a sign, or a mark; so the story could end right here. But there was also something else that we had to take into consideration – the fact that, when it came to their promotional printed matter, the Whitney insisted on a ‘single-image’ approach. In other words, the Whitney really wanted to continue using reproductions of artworks as the main way to represent upcoming exhibitions. This turned out to be a given. Now, as some of you might know, the ‘single-image’ approach is a practice we usually wouldn’t prefer. In fact, we come from a more ‘Benjaminian’ ideological background, in the sense that we feel that the whole gesture of reproducing an artwork (especially with the context of promotional material) is diminishing the power (or the ‘aura’) of the artwork rather than increasing it (to put it very crudely). We regard this whole idea, of using a single (often full-colour) image of an artwork as a promotional tool to advertise an exhibition, as a rather unfortunate development. So in the beginning of the design process, we did try to convince the Whitney of a fully typographical (‘text-only’) approach. When we didn’t succeed in that, we proposed a ‘multi-image’ approach – which is the idea of consistently using several images, instead of one single image. After all, the use of several images would shift the nature of reproduction away from a ‘iconic’ approach, towards a more documentary approach (at the same time, this ‘multi-image’ approach would also refer to the specific salon/studio-way of hanging artworks during the early days of the Whitney). However, this proposal was rejected as well. In other words, we had to find a way to deal with the ‘single-image’ approach – and we’d better make it our own. Thinking about the use of reproductions of artworks on printed matter, it occurred to us that there was an interesting spatial dimension to explore. When you take an image of a certain artwork (in its original proportions), and place it on a piece of printed matter (which comes with its own given dimensions), there will always be an amount of remaining space. This remaining space will be different for every piece of printed matter, as most artworks have unique proportions. In many ways, this remaining space can be seen as a sort of representation of the museum itself – it is the space that exists around the artwork, the area in which the institute becomes visible. So our idea was to find a way to somehow emphasize this remaining space, to make it visible, to reveal it – through the use of the zig-zag line. This is when we came up with the concept of the ‘Responsive W’. In fact, this thinking about lines, about space, about lines occupying space – it reminded us of some of the remarks that we read in the material the Whitney gave us at the beginning of the assignment. 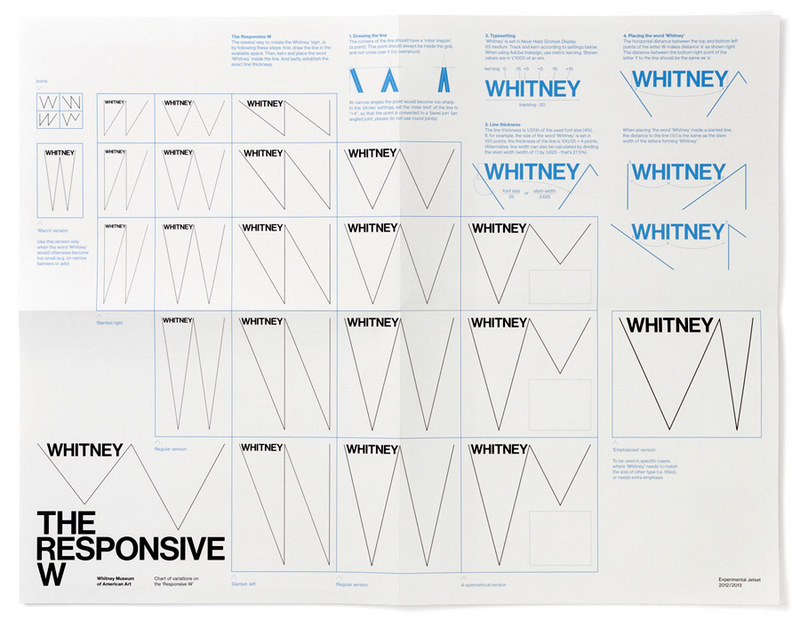 In some of the papers (the so-called ‘positioning documents’), we would come across descriptions of the ‘Whitney at its most ideal’ – and as it happened, most of these descriptions had to do with space. On the one hand, there was a lot of emphasis on the ‘opening up’ of space (“creating a space where art and audiences can breathe”), while on the other hand there was also a feeling that, in order to create this space, something had to be ‘closed off’ (“keeping a critical distance from current trends and fashions”). Obviously, these two gestures are connected: in order to allow a space to open up, this space first has to be defined, to be enclosed – and a line is the perfect medium to do just that. This idea of a line drawing that will always be responsive to a given space, is also a very concrete translation of the notion that “the new graphic identity needs to be adaptable to the Whitney’s commitment to the primacy of the artwork”, which was another description we came across. By representing the institute as a line drawing, which shape is dictated by the (shape of the) artwork, the implication is that art comes first, and the institute follows – a clear expression of the primacy of the artwork. In fact, the image we had in our head was pretty much that of a carpenter’s ‘folding ruler’: the letter W as a set of four sticks or rods, that can be folded (or unfolded) to fit every context. While it is true that the ‘working title’ of this whole concept was ‘the Responsive W’, we would like to make clear that this name had nothing to do with the notion of ‘responsive design’, which is a particular phrase coming from the field of interactive- and web-design; our idea was unrelated to that. If anything, the name ‘the Responsive W’ was a nod to ‘the Responsive Eye’, a famous NY exhibition on the subject of Op-Art and Kinetic Art, from 1965. To us, the ‘Responsive W’ could certainly be seen as referring to the tradition of Optical and Concrete Art. 1. 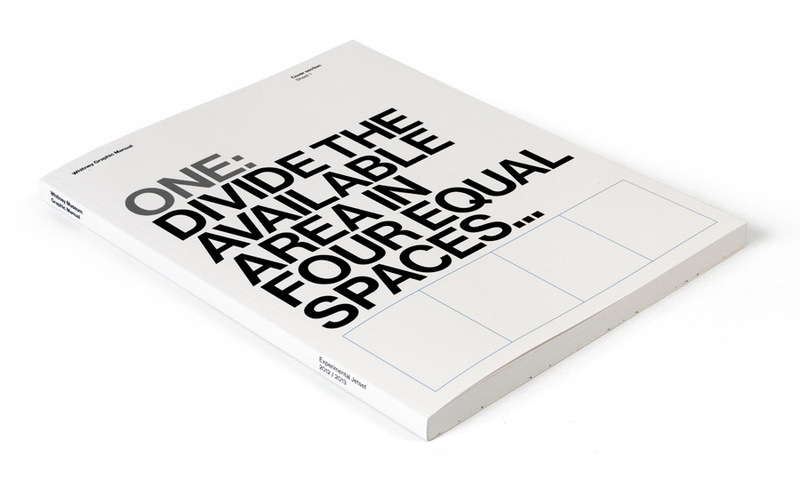 Divide the available area in four successive equal spaces. 2. Draw a line in the first space, from the left upper corner to the right bottom corner. 3. Draw a line in the second space, from the left bottom corner to the right upper corner. 4. Draw a line in the third space, from the left upper corner to the right bottom corner. 5. Draw a line in the fourth space, from the left bottom corner to the right upper corner. In fact, it was our original plan to present the new graphic identity as being just that – a series of five sentences. No guide, no manual, no templates – just a piece of paper (preferably transmitted by a fax machine), containing these five lines. Because, in the end, these five sentences tell it all. Rather than as a logo or logotype, we regard the graphic identity as a system; a system that just happens to be represented as a line drawing. Having said that, there is also another way to regard the responsive W: as a spatial construction. A flat line, that, by changing one’s viewpoint and distance from it, reveals its spatial dimension. It is exactly in this context that we would like the place the idea of the ‘responsive W’: the line as a graphic agent of systems (and of anti-systems), as a signifier of modern art, as a sketch of things-yet-to-come, as a diagrammatic device, and as a representation of lineage (and thus of heritage). In fact, during the development of the graphic identity of the Whitney, we were quite inspired by a text we happened to come across in the February 2012 issue of Artforum, an essay focusing fully of the role of the line in the work of Reinhardt (written by Prudence Peiffer, the title of this particular article was ‘Opening Lines’). The ‘Responsive W’ can also be seen as a flexible typographic grid. The W-shaped construction is an excellent platform for all kinds of text – in this case the name ‘Whitney’. Very early on in the development of the graphic identity, we came across a paragraph that can be linked to this idea (of the zig-zag as handwriting) in a very interesting way. Revisiting a collection of essays by Raymond Williams, we stumbled upon a text from 1973 (‘Base and Superstructure in Marxist Cultural Theory’), in which Williams describes works of art as ‘notations’ rather than as ‘objects’. Connecting this idea (of art-as-notation) to the shape of the zig-zag, the zig-zag suddenly becomes a shorthand symbol for all kinds of instructions: from musical notation to stage directions. (As an example, we were specifically thinking of Trisha Brown’s zig-zag-like choreographic notes). In other words, the W-shape is both the result of a set of instructions, and an instruction in itself. The notation as an object, and the object as a notation. At that point, we were making countless sketches, demonstrating the flexibility of the concept, generating a vast amount of variations, versions, options and possibilities. However, at the same time, we noticed that there was also a need for some stability, for some rules. In fact, the Whitney asked for a bit more ‘gravitas’. That’s when we decided to somewhat ‘consolidate’ our sketches, and turn them into a map, or chart. There’s a universal truth enclosed in this concept (sort of) – the idea that, in order to show movement, you actually need a fixed element. In order for ‘the Responsive W’ to be truly flexible, it also needs to contain some inflexibility. We believe that the graphic identity should be closely linked to the sign system – they should both express the same values, and refer to the same ideas. After all, a museum is a graphic environment as well – and the link between (graphic) language and the built environment is one of the most interesting relationships there is, one that always demands further exploration. In our view, a sign system is never just a ‘neutral’, logistic entity; it is a conscious conceptual and aesthetic intervention in the built environment, and should be regarded as such. Within the context of this particular project, we really like the idea of the signage not being contained or restricted on a board or plaque. That way, the signs get some space to breathe, some space to float. Applying the type directly to the wall adds a certain ‘industrial directness’ to the signage, and we think that would really fit the building. It has a certain low-fi/low-tech casualness, which we think would really emphasize the ‘freshness’ and ‘openness’ of the new Whitney; or so we hope. Actually, this ‘freshness’ is already encapsulated in the oldest word there exists for mural: ‘fresco’. Coming from ‘al fresco’ (or ‘aresco’), it literally refers to painting “on fresh plaster”. Obviously, we don’t propose to apply the signage in actual fresh plaster – rather, we think we should try to capture this sense of ‘freshness’ in spirit. In general, the gesture of applying something directly to the wall feels much more immediate and urgent than mounting something to the wall in a more indirect manner. (For example, in art, a mural usually appears to us, the viewers, as much more dedicated and engaged than a framed painting). We also think the idea of applying type directly to the wall makes for a very spatial signage. True, the signs themselves might be flat, but the effect, of large, oversized arrows becoming part of the architecture, is undeniably three-dimensional. In that sense, we feel quite inspired by the so-called ‘Supergraphics’ movement, the architectural use of murals in the ’60s and ’70s. These graphics were in itself quite flat (‘superflat’, so to speak), but the effect they delivered was very spatial indeed. Part Pop, part Op, these graphics really amplified the sense of space and direction. We would love the signage in the Whitney to have a similar effect. As we rhymed in some of our earlier sketches: “the sign = the word + the line”. In other words, the ‘Responsive W’ should always consist of these two elements: the line drawing, and the word ‘Whitney’. And this word should always be set in Neue Haas Grotesk (NHG). The version of Neue Haas Grotesk that we used throughout this proposal is a redrawn version of a Swiss typeface originally designed by Max Miedinger and Eduard Hofmann, between 1957 and 1961. The redrawn version was recently created by Christian Schwartz, a young type designer living and working in New York City. The redrawing was originally commissioned by UK newspaper The Guardian, in 2004, but was never used in that context. The revived typeface was eventually completed by Schwartz in 2010. There’s something about this typeface that reminds us of the Whitney. As we already wrote in some of our earlier presentations, we feel that an interesting theme within the history of the Whitney seems to be the relationship between America and Europe. While it is true that, initially, the Whitney focused exclusively on presenting American artists, it did so in sharp reaction to a specific pro-European context: a historical situation in which European art was valued above American art. It was this context that gave the Whitney its (emancipatory) right to exist. And despite (or maybe because of) its historical focus on American art, the Whitney continued to encapsulate this dialectic between the ‘Old World’ and the ‘New World’. The fact that the current building and the future building of the Whitney are both designed by European architects (Marcel Breuer was Hungarian, Renzo Piano is Italian) only emphasizes that. As we already pointed out, it might be exactly this dialogue with the European ‘other’ that enabled the Whitney to continuously define and re-define its American identity. We believe that, within the redrawn version of Neue Haas Grotesk, one can find a somewhat similar tension between the ‘Old’ and the ‘New World’: an European typeface, reinterpreted by a young American designer, originally commissioned by an English client. Added to that, we think that the redrawn Neue Haas Grotesk is a very ‘New York’ typeface, and we’re not only saying that because the (re-)designer is living and working in the city. In our view, NHG has a sharpness that is typical for NYC. 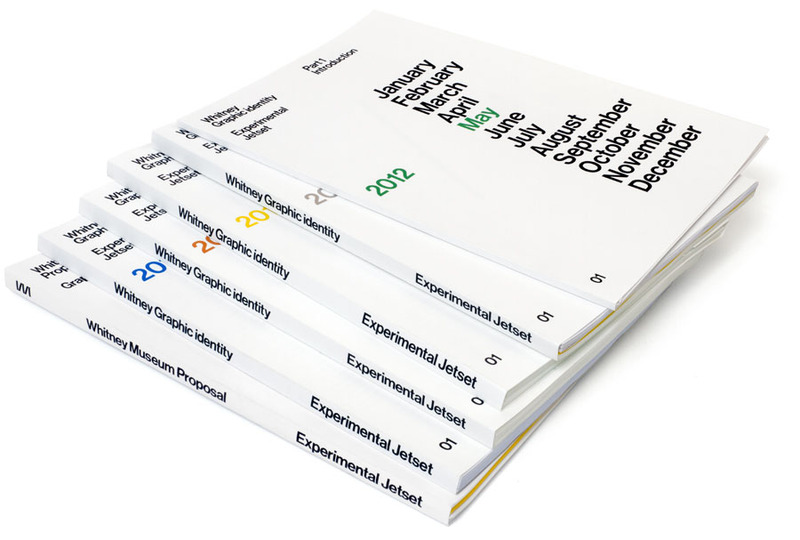 On the one hand, it is quite similar to Akzidenz Grotesk, and other iconic sans serif typefaces, as employed by typical public institutes such as the NY Subway; on the other hand, we believe NHG possesses the minimalist boldness that one associates with No Wave, Conceptual Art, New York Punk, the downtown loft scene of the ’70s, and other subcultural phenomena. In that sense, and as paradoxical as it may sound, we believe that NHG refers to both ‘poles’ of New York: the established institutional sphere, and the underground tradition. Above all, it is an extremely practical typeface. It comes in an enormous variety of weights and styles (from Extra Thin to Black), both as ‘display’ and ‘text’ variations. 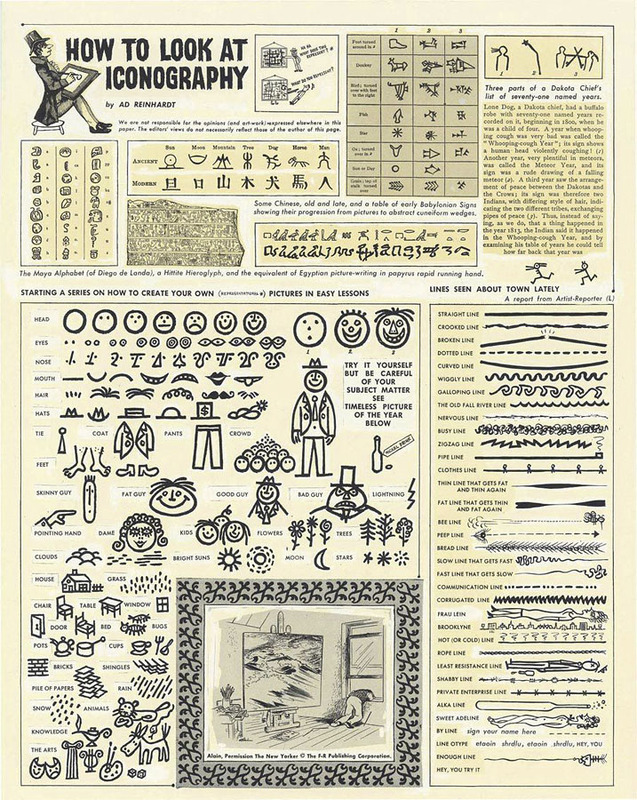 Because the redrawn version was originally intended as a newspaper typeface, it is designed as a fully functional font, with many alternate characters and numbers. However, for the word ‘Whitney’ (as well as the accompanying headings, titles and names), we have chosen to use only uppercase type (and in one particular weight as well). There are several reasons for such an ‘all-caps’ approach. The most obvious reason might be the fact that the more geometric shapes of uppercase letters fit particularly well within the angular aesthetics of the ‘Responsive W’. Added to that, words set in uppercase type can be ‘stacked’ on top of each other in almost architectural ways, thereby referring to the ziggurat-like appearances of both the old and the new Whitney building. Semantically, the ‘all-caps’ approach will make the word ‘Whitney’ look less like a person’s first name, and more like the name of an institute, which we also found important. On a more conceptual note, we feel that the use of sans-serif, capital letters will really emphasize the industrial nature of the new Whitney building. After all, the popular use of grotesk letters originates in the industrial environments of the beginning of the 1800s – and around that time, grotesk type was only used in an uppercase way, for the simple reason that sans-serif lowercase letters were developed a few decades later. So in our view, the use of capital letters will really refer to this whole notion of ‘industrial directness’ that we also mentioned earlier. As for the colour of the sign: the ‘Responsive W’ itself (including the word ‘Whitney’) should always (or at least, as much as possible) be printed in black, on a white (or empty, or blank, or unprinted) background. After all, black-on-white is the natural habitat of the archetypical sign. The white background represents nothing, the black mark represents something – it is the clearest expression of the notion of art, of the idea of mankind leaving traces in its given environment, and thereby irreversibly altering this environment. This assignment is a very atypical project for us, in the sense that none of the actual graphic output of the Whitney will be designed by us. While we were responsible for the underlying concept, the actual execution will be done by others. The printed matter will be designed by the in-house design team of the Whitney, the website will be developed by Linked by Air, the sign system will be realized by Entro, a company from Canada. Sure, in some of our past assignments, we have handed over our templates to other designers, after working for an institute for a year or so – but this situation occurred only one or twice, and was never fully intended. In the case of the Whitney, we knew from the start that we wouldn’t be the persons actually designing the final objects – which was a bit of a surreal feeling. Usually, we are very much ‘hands-on’ when it comes to the execution of our designs – for example, when we were responsible for the graphic identity of the Stedelijk Museum CS (SMCS), back in 2004, we didn’t only design the sign system (a modular system of over 2000 plastic A4-sized document holders), but were also responsible for printing the graphic layer of this sign system, and installing it ourselves. It’s a way of working that (we think) really fits the ‘DIY’-ideology of our studio. However, when we took on the Whitney project, we knew it would be a very different kind of assignment – and that’s exactly what we found interesting about it. In close collaboration with a staff that has been enormously generous towards us and our proposals, we have been testing our own limits, trying to come up with a graphic language for others to talk with. Not an easy task for us, but a huge challenge, that has been very rewarding in its own particular way. To the outsider, the notion of authorship within graphic design seems problematic. After all, a large part of any given assignment consists of particular demands, technical specifications, a given context, pragmatic considerations – in such a situation, is it still possible to locate, in the finished (and highly-compromised) design, the authentic ‘signature’ of the designer? At first sight, it seems impossible. And still, it is our belief that such a ‘signature’, such a sense of graphic authorship, does exist – it can be found exactly in the way in which the designer deals with the demands, the specifications, the limitations. So although we fully realize that our ‘signature’ will be near impossible to locate within the future/current graphic output of the Whitney, we do believe that, in the specific way in which we dealt with the restrictions, limitations and demands, we managed to exercise some form of authorship, to leave some kind of fingerprint, however small. In the same way, we hope that future designers, working with the graphic identity we developed for them, will be able to use this identity as a platform for their own authorship – and to leave their own signature, their own fingerprint, within it. After all, a graphic identity could (and should) never be a machine, in which one simply ‘inputs’ an image and a title, and out rolls an invitation. It will always be a human process, in which the aesthetic and conceptual decisions made by the graphic designer play an essential role – a role that can never be skipped, or erased. For their generosity and trust, we’d like to thank the team of the Whitney, in particular (and in no specific order), Adam Weinberg, Jeff Levine, Hilary Greenbaum, John Stanley, Rebecca Gimenez, Francesca Grassi, Meg Forsyth, Donna De Salvo, Brooke Garber Neidich and Joanne Cassullo.